Foundation Stone Notes: No Foundation Stone details are known. Information/photographs are invited. 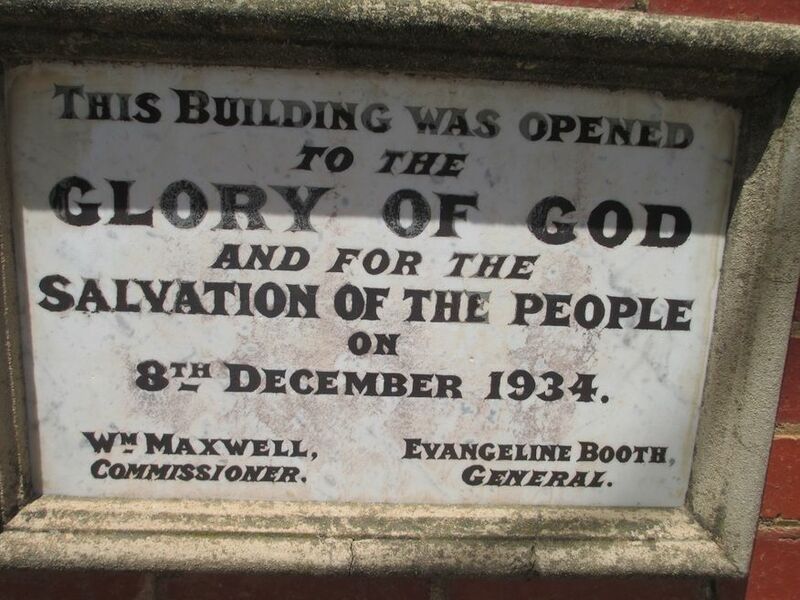 Two other stones record: (1) This building was opened - to the Glory of God - and for the - Salvation of the People - on - 8th December 1934 - Wm Maxwell - Commissioner - Evangeline Booth - General. 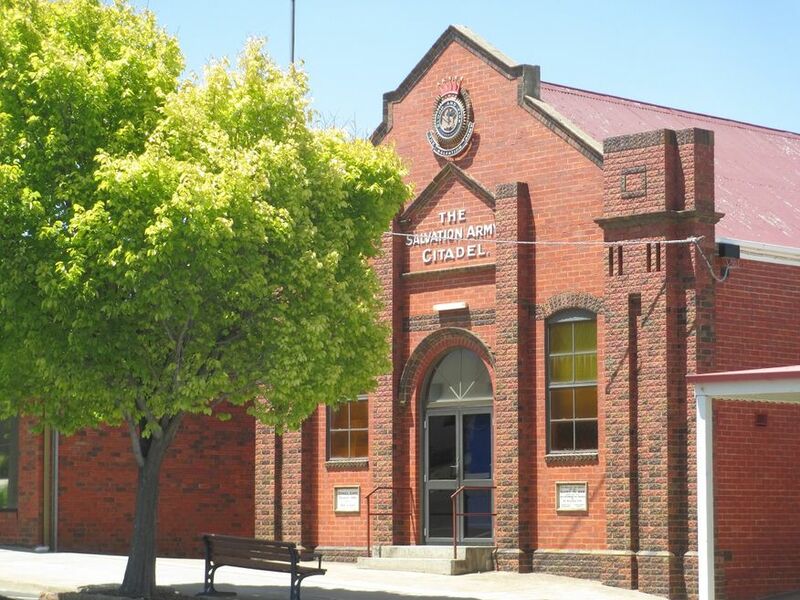 (2) Stawell Corps - Founded 1884 - God is love. 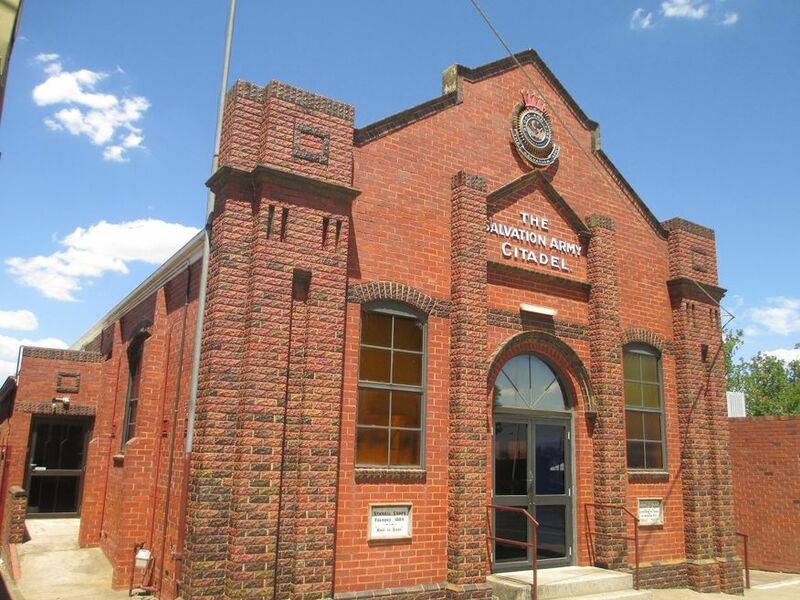 More historical information/photographs of the citadel are invited. Photographs uploaded 6/12/2016.